After some 50 years of lobbying by the late, great Baron Philippe de Rothschild; Mouton was finally elevated to 1st Growth status in 1973. Armed with serious aspirations, Baron Philippe de Rothschild purchased the property in 1922 from his great grandfather and immediately set about making significant changes to the estate. In 1924 he introduced Chateau bottling, in 1926 he built the property's famous grand chai and, in 1933, he bought the neighbouring property of Chateau d'Armailhac. Along with his aspirations for the estate, Baron Philippe was also armed with some serious commercial nous and, in 1945, he began commissioning artists to do an annual painting depicted at the top of the label. With artistis such as Picasso, Warholl, and Prince Charles contributing, these unique labels have added to the collectability of Mouton. Today the estate is run by Baron Philippe's daughter Baroness Philippine de Rothschild, continuing the great work done by her father. 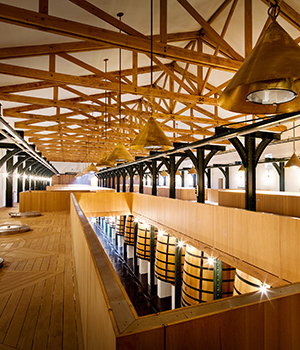 Despite several patchy vintages, when Mouton gets it right their wines possess an opulence that is both unique and unrivalled by any of the other 1st Growths.